The 2nd Grand Slam of 2016 has kicked off. This is the time of the year when the world’s best tennis players descend on Paris to compete for the coveted French Open crown. From Novak Djokovic vying for his first French Open title to Serena Williams playing to win the only Grand Slam that she has not won back-to-back, there is a lot to look forward to at this year’s French Open. Here, we list out 5 significant statistical possibilities that could be become a reality come June 5th. No tennis player, man or woman, has ever recorded double-digit wins at a single Grand Slam in the Open Era. Rafael Nadal would be trying to do exactly that at the French Open 2016. He is by the far the most successful player at Roland Garros having won the title an incredible 9 times. His last win came in 2014 but was defeated by rival Novak Djokovic at the quarter-final stage last year. This time around, he will be hoping to go two steps further and create a record that doesn’t seem likely to be broken anytime soon. 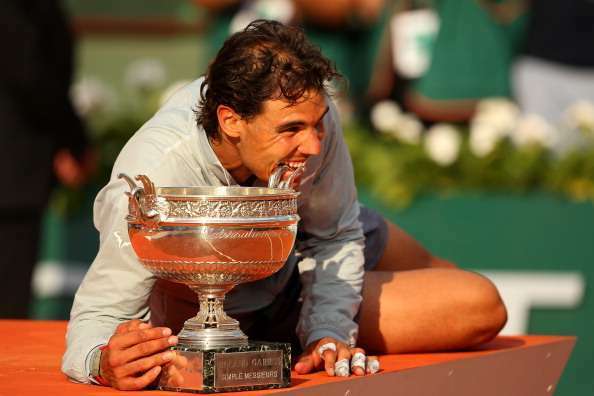 With his fitness improving with every game as evidenced by his recent victory at Monte Carlo, it is definitely not beyond the 29-year-old Spaniard to achieve a feat that will etch his name in Rolland Garros history.